Hey There. Thanks for stopping by. You’re probably wondering who in the world is writing all about backyards. We’re Jena and Christina. Our friends call us the Inas and now you can too. We’ve been together for almost 18 years and lived in several homes during that time. Throughout all our homes, our backyard was always our favorite part of the house to transform. 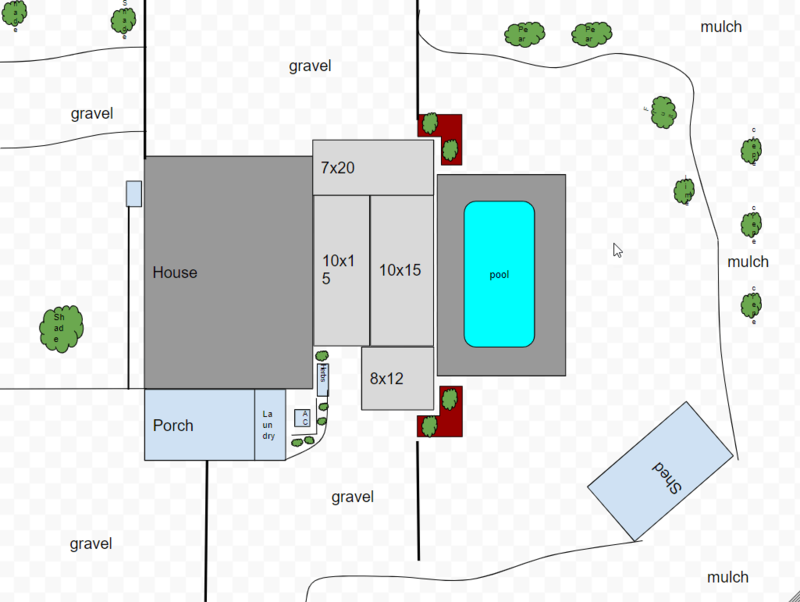 Now Jena used something simple like Google Drawing to design our backyard and we are slowly working off that design. Most of the gravel and all of the decking is done. We have a lot of the trees and shrubbery in place. And she finished doing an enclosure to hide our AC unit. We realized we’ve done several different projects over the years and we love talking about backyards so we thought we’d share it all with you. Backyards are so inviting and cozy. Or they can be. We spend a lot of our time outside since we live in Florida. Plus, most of our gatherings and parties or tailgating are in our backyard or our friends’. Plus, there’s so much you can do in a backyard to get out of the house and to reconnect. Aside from all that, there are so many projects you can do in your backyard. I think we love projects. I know Jena does. But we like more functional projects than pretty. If that makes any sense. Thanks for dropping by and if you have any questions about any of the projects, just let us know.